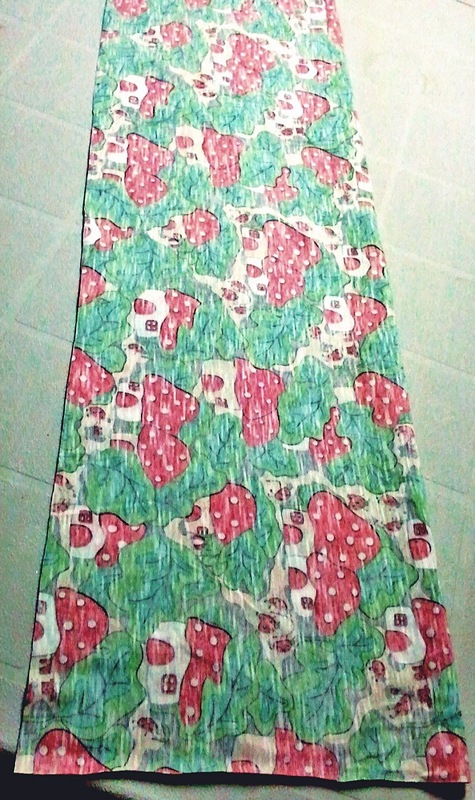 I made myself an infinity scarf before Christmas, so that I could use a super cute fabric I'd found. When I shared it, Beth in AL asked if I could share how I'd made it. Even though there are tons of methods for infinity scarves online, here is a tutorial on how I made mine. 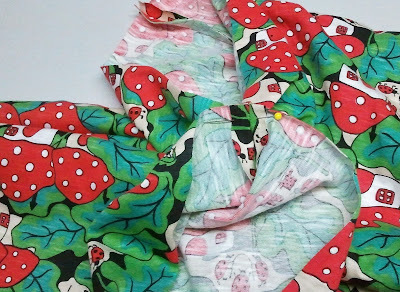 The fabric I used is a thin but fairly non-stretchy knit, which isn't very soft or drapey. If you used a finer, soft knit it wouldn't have so much body but it would be squishier. So pick what you like best! 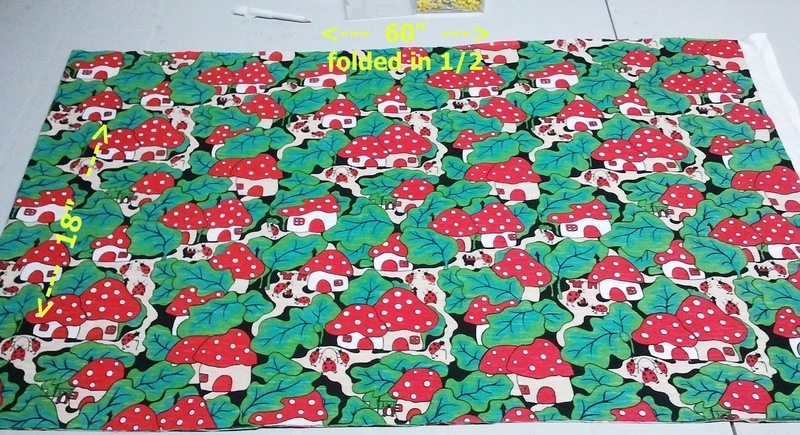 Start with a piece of 60" wide fabric, cut to 18". You don't have to be precise, just try to get it around 18" and cut as straight as possible but don't get frantic about it. This project works with the freehand style that I like to follow with quick projects! Trim off any unsightly selvedge edges. Fold the entire width right sides together, and stitch along the long edge, leaving both short edges open. 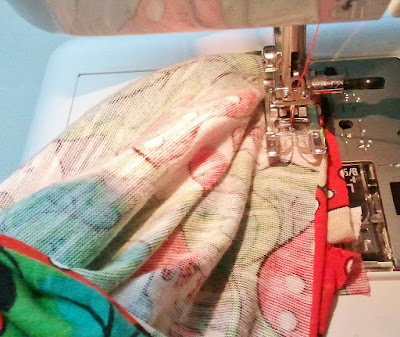 You can use a zigzag stitch or a straight stitch, or a serger if you have one, for neatness. 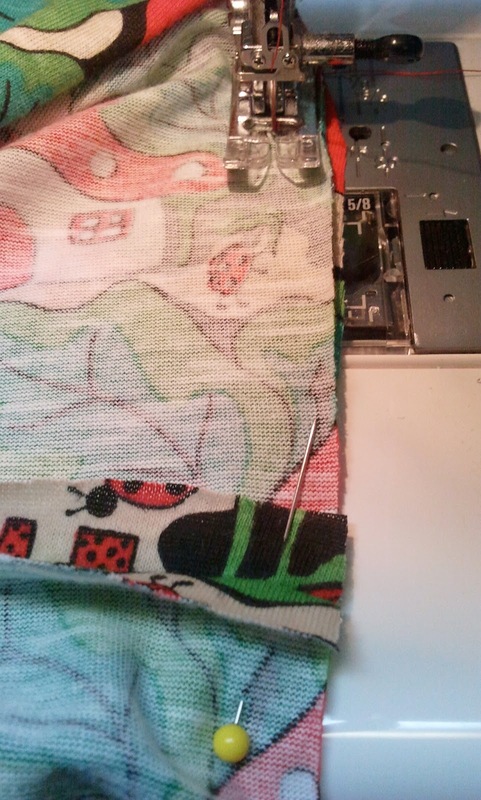 I sewed my seam at about 1/2 inch. 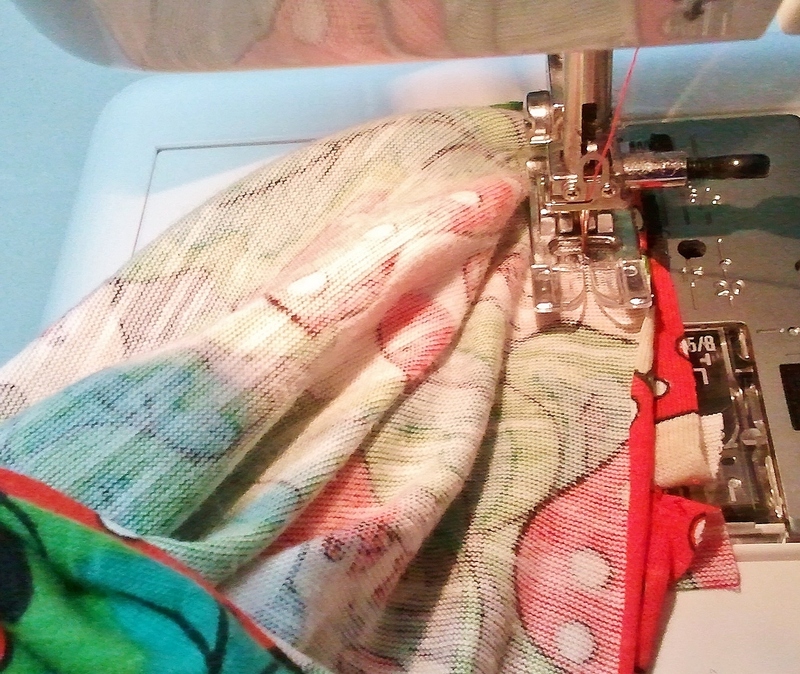 I didn't bother with pins, as my fabric was stable and was easy to hold together at the seamline evenly. If yours is slippery or stretchier, you might want to put in a few pins to keep it from getting too uneven as you sew. 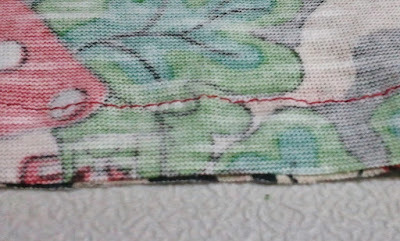 Because I was cutting and trimming the original piece pretty casually, when I got the long ends sewn, the short edges were uneven. No problem, just trim them so they're nice and straight. At this point you can press the seam if you like; it makes it sit nicely. 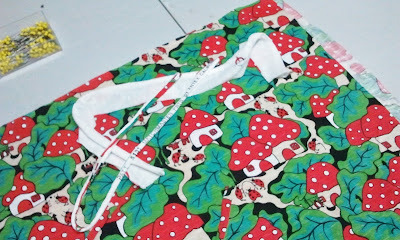 I didn't bother finishing my seams because a)knit, so no unravelling and b) it'll be on the inside. Now you'll turn the tube right side out. Look at the ends -- you could sew them together by folding one edge under and tucking the loose edge inside and sewing straight across -- but I don't like that method as it anchors both sides of the the seam flat. I like my infinity scarf to be a fully open ring of fabric that can fluff up properly. 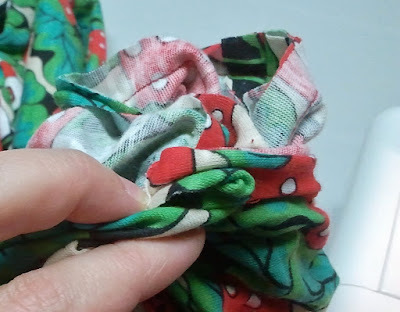 ...but to give the scarf that little bit of extra oomph, I like to twist the ends and sew the seams opposite to one another; that gives the scarf a little bit of lift when you wear it, with a twist built in. So, take one end at the point opposite the seam. Place it right sides together against the seam on the other end. You might want to pin this spot for starters. I don't like to use pins while sewing this part though, as the seam gets pretty twisty and pins just aren't that useful. 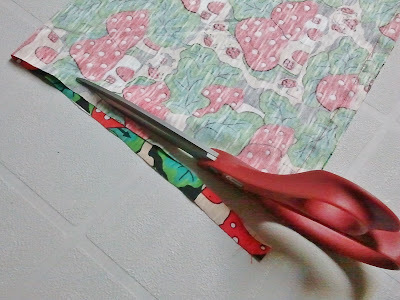 Use your fingers to hold and direct the fabric instead. This is the confusing part. 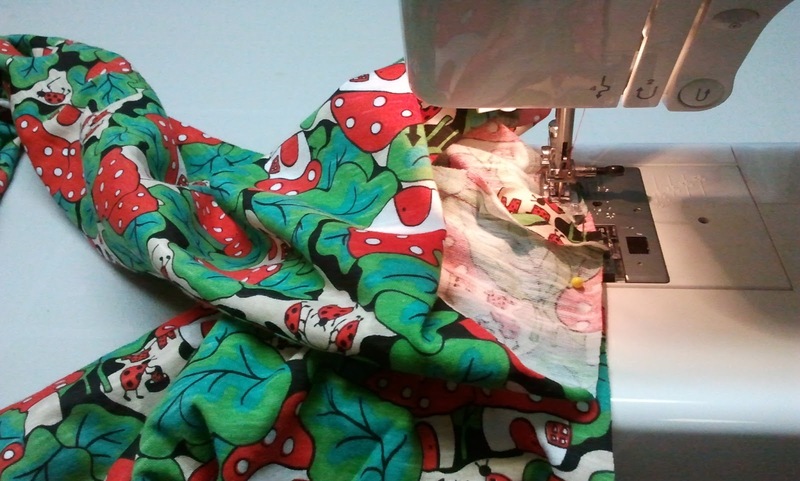 The ends will be sewn in the round, and it feels pretty odd. Just start your seam a little above your pinned mark, as it's easier in the end to handstitch the remaining opening closed if you don't have extra seam allowances to worry about as well. I sew this seam at about 1/4". 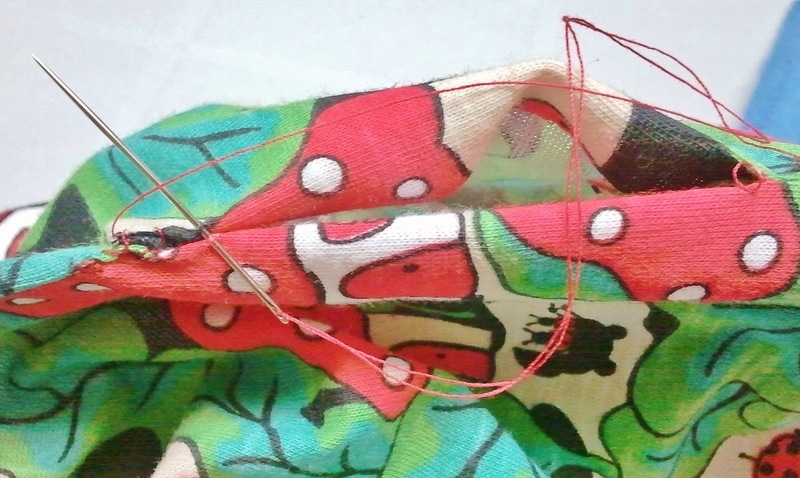 The key thing to remember is to just keep sewing, and to make sure that you only have 2 layers of fabric under your needle. Don't get the other side of the fabric caught up as you keep turning your scarf ends. 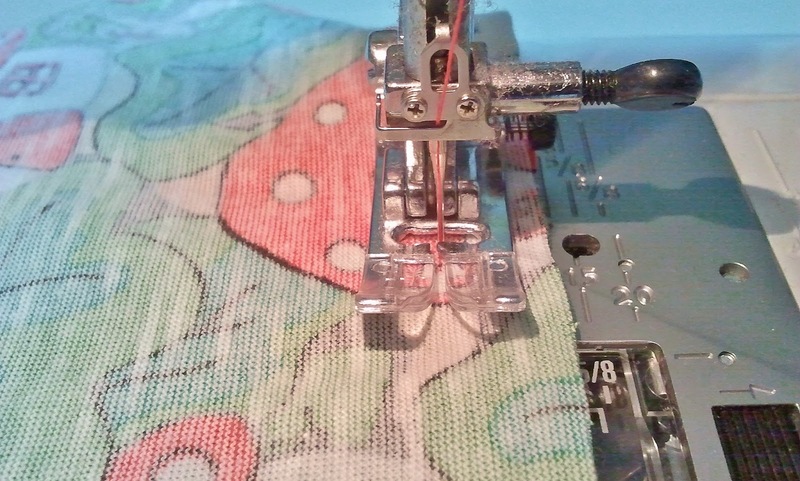 Sew slowly for as far as you can -- the closer you can get to your starting point, the less you'll have to handstitch closed at the end. 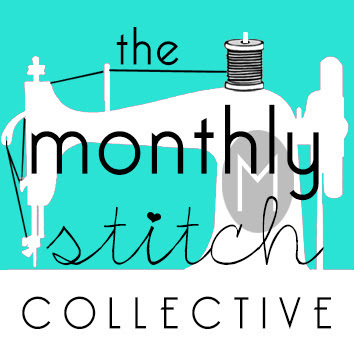 Unless of course you like handsewing, in which case, don't worry about getting really close. When you take it off the machine, it looks like a mess. You may be asking yourself "what am I looking at?" 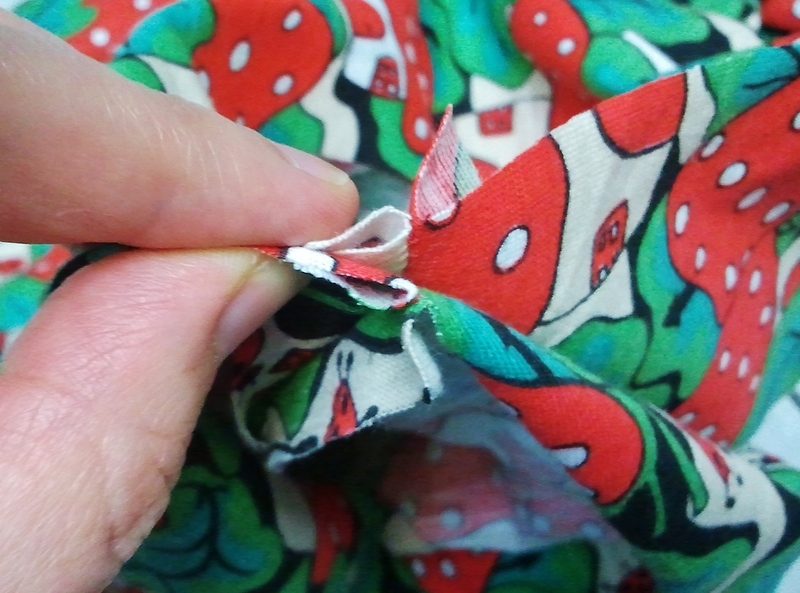 But just carefully turn the seam and it pops right into place with the insides inside and the right side facing out. Then you have to close that small opening that remains. I've tried machine stitching close to the folded edges before, and it works but it doesn't look as neat as hand stitching. Depends what you want to do. Anyhow, that's it. 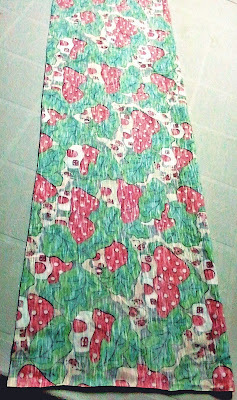 Then just put it on, give it a loop, and fluff up the fabric a bit. Perfection! 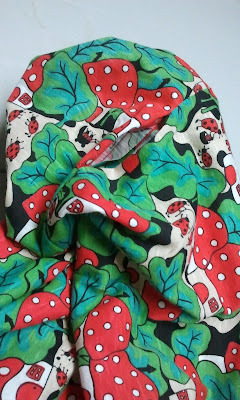 To celebrate making another ladybug scarf for this tutorial, I'm going to give it away! If you're interested in wearing this loopy scarf, leave a comment here telling me why. This giveaway is open to anyone worldwide. Worldwide entries will be accepted -- just make sure I have some way of getting in touch with you in case you win, whether it's already in your blog profile or left in a comment if it's not. 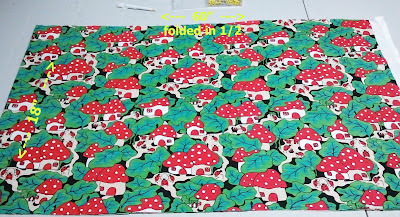 Since there were only four entries for this scarf, and I have another yard of ladybug fabric to use up, I get to do an Oprah -- YOU get a scarf, and YOU get a scarf, EVERYBODY gets a scarf!! Thank you for the tutorial. 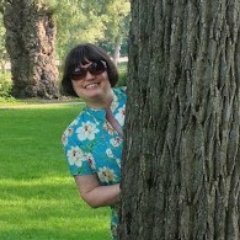 I'd quite like to make a couple for gifts - my mother's birthday is on 11th January and it looks as though it's a fairly quick make. I'd like to win your ladybug scarf for my oldest daughter who loves items with creatures on them - owls and dragonflies being her favourites - and I reckon ladybugs too! I have yet to make an infinity scarf -- love wearing them -- a scarf is such an easy accessory and can make a boring outfit sing! Such a thoughtful thing to give away -- I'd surely give it a happy home! Great tutorial. I have lots of fabric in my stash that could be made into an infinity scarf! 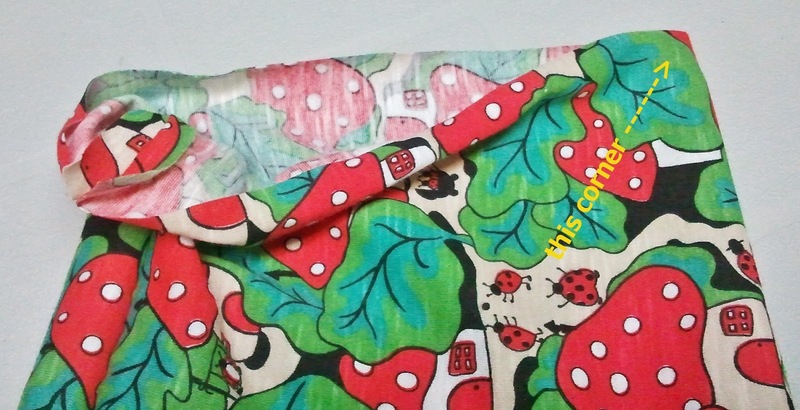 Here's hoping the ladybug scarf makes it way to me. Oh, wow! Thank you! Can I send my mailing details to your email address?